Reuter Shop, your specialist for sanitary products and bathroom design. They help to improve your bathroom: For over 20 years, Reuter stands for more ranges and low priced bathroom products. As well as our stores with large showrooms, Reuter have been offering an even wider range in our online shop for years. Reuter has years of experience and is the online shop for you when it comes to fitting bathrooms. Here, you can find the right bath or shower tray from renowned brands and bathroom furniture such as cosmetic mirrors and vanity units. So if you would like to re-fit your bathroom, they offer fittings and bathroom ceramic products such as toilets or washbasins and also of course complete systems which may be required for your own wellness oasis. Simply have a look here in our shop and benefit from our expertise on brands such as Villeroy & Boch, Hansgrohe, Keramag, Dornbracht, Grohe, Kaldewei, Geberit and many more manufacturers. In addition to the established brands, we offer our own brand of quality products at very attractive prices. With a total of over 500,000 articles, they offer an enormous selection of wonderful products by focusing on high quality brands. 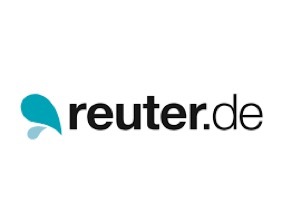 With Reuter, you can make your bathroom ideas real: Reuter is your source for a dream bathroom. We reduce your packaging sizes for free – thus you save shipping costs. 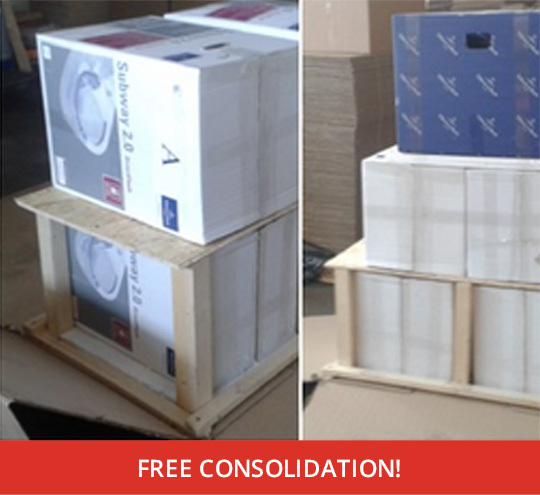 We use strong 2-wavy packaging boxes for free – thus your articles will be secured for its long international trip. What makes us stand out as an international package forwarding company? Estimate your total fees before buying in Germany. It’s easy, transparent and shows you all charges; no hidden fees, no surprises. Simple and transparent cost structure: you only pay after we ship your parcels. Thanks to DHL, FedEx, UPS, GLS, DPD, TNT, DBSchenker and more, we provide short and predictable door-to-door shipping periods. We photograph each incoming parcel – check content and package labels. Expect a user-friendly account with simple functions, showing constant shipment status updates. And rely on our fast and individual customer service via eMail and LiveChat. Our agents help when your payment method is not accepted. We buy, pay, pick up, and pack goods for you (e.g. from private eBay sellers).